I am super pumped to share a new project idea that has the potential to have a long-lasting impact on the people of our province! I couldn't be more excited! The Aviva Community Fund has donated more than $8.5 million over the last decade to create positive change across Canada. This year, they are donating another $1 million towards initiatives that bring people together to create change within their community. 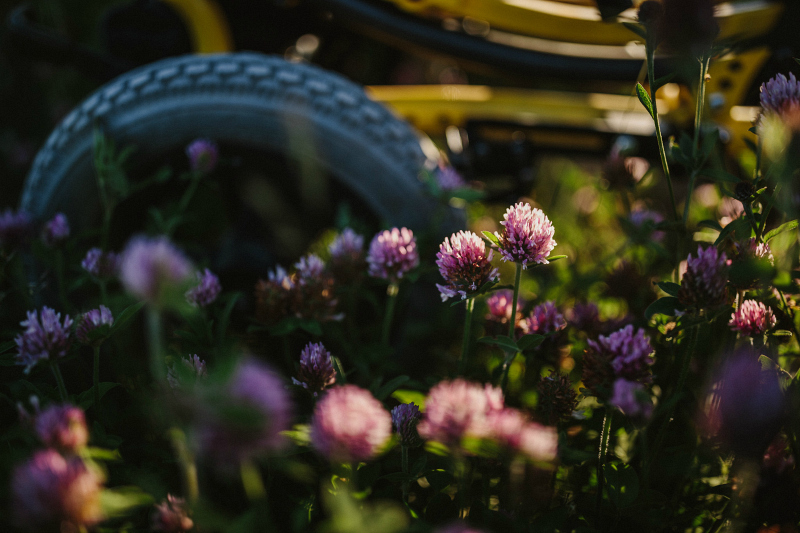 Ability Employment Corporation has been approved to enter the contest for a chance to win $100,000 towards the creation of a new, "Wheelchair Accessible Edible Path" that will be built around the existing Farm and Market in Clarenville. A wheelchair Accessible Edible Path would serve the needs of people with disabilities and special mobility requirements who have limited access to outdoor green spaces. In line with the Government’s commitment to "removing community barriers for people with disabilities", the Ability Employment Corporation (AEC) would like to develop this project to provide all community members, regardless of ability, an opportunity to learn, play, and reap the many recreational and mental health benefits that are connected with being outside in nature. The Edible Path will be a ‘living classroom’, designed to educate community members and visitors about Newfoundland’s wide variety of native edible plants, as well as the health benefits of consuming the naturally-occurring vitamins, minerals, and antioxidants which they contain. The path will be wheelchair-accessible, posted with braille signs, and guided by nature specialists to ensure that people from a variety of physical and cognitive backgrounds can enjoy all that the path has to offer. AEC is a charitable organization that provides career counseling and job placement services, along with social and volunteer programs to persons with intellectual disabilities and other barriers to employment. The Edible Path will also provide a platform for those with disabilities to build valuable employability skills while leading the ongoing path maintenance and upkeep. A Wheelchair Accessible Edible Path would make a world of difference to families like mine. I remember shortly after my son, Brennen was born, having to make a huge mental and emotional adjustment to the hopes and dreams I had held for my family. I grew up, like most Newfoundlanders, picking blueberries on the rocky hillsides with my mother and grandmother, and skipping through vast fields of wildflowers with my younger sister. I had visions of recreating moments like these with my own family, but when we were told that Brennen was not going to be able to walk, those dreams were shattered. Just this summer, my sister took her own young children to a local farm to pick strawberries, and while we thoroughly enjoyed the sweet berries they brought back to us, I can't help but ache for the opportunity to create memories like that with my own child. Visit https://www.avivacommunityfund.org/voting/project/view/18-55 to see the project details and create an account to vote. Voting begins September 25th and ends October 4th. You can vote up to 10 times, so please use all of your votes! Tell your friends, share on social media, and encourage others to vote as well! The Wheelchair Accessible Edible Path is a brilliant idea that would provide many deserving individuals with the opportunity to participate in something that is so distinctly part of our culture and heritage, it should not be missed. “Having a disability should not mean being disqualified from having access to every aspect of life.” (inspired by Emma Thompson).